Posted on June 18th, 2018. It’s time to slip off the cares of daily life and step with me, if you will, into a timeless world of music, history, food, culture …. All wrapped up in a warm and glorious setting. Laze on some spectacular beaches, chill out in one of our amazing villas in Jamaica, navigate through tropical rainforests, there are mountains and caves, the natural splendour of water falls. Butterflies, fish and birds move in a kaleidoscope of colour. Your senses will be dazzled by all nature has to offer. The Jamaican people will welcome you with an easy natural courtesy. Each evening you will sink into the restful sleep of one whose every sense has sampled the rich flavours of this remarkable island and found it exhilarating. Columbus called it The New World. To us, it is a world older than time that moves and sways to a rhythm all of its own. 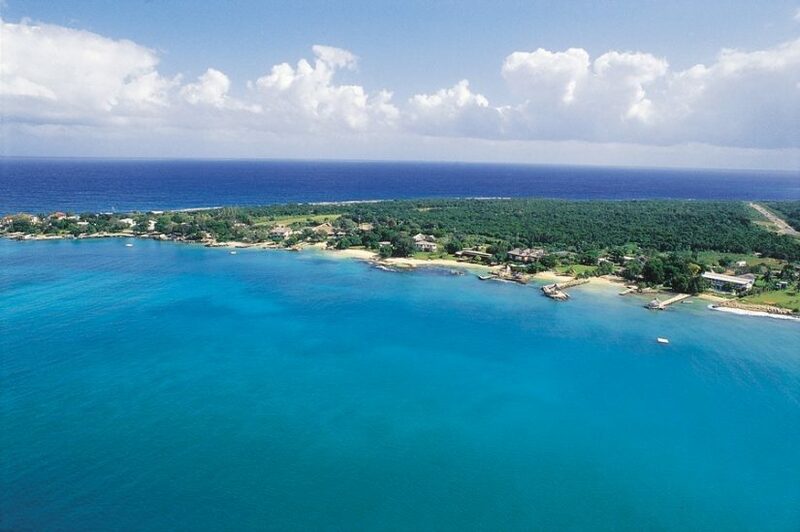 It is Jamaica, Jamrock, Ja … many names, but only one place – heaven! It would be unthinkable to book a trip to this remarkable island and not consider where to go to find the best beaches in Jamaica. Negril is, without doubt, one of the very best places in Jamaica if you want to swim, snorkel – perhaps just to soak up the sun and local colour. 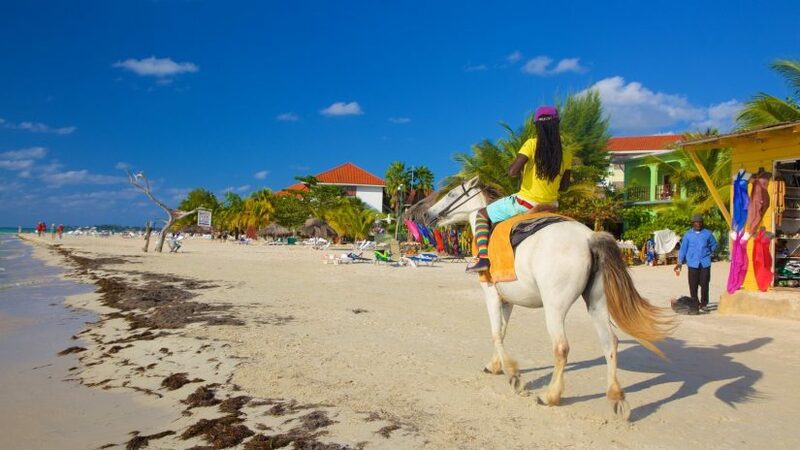 Bloody Bay to the North and Long Bay to the South combine to give Negril a 7 mile beach that frequently features in the Top Ten awards for beaches around the globe. It is no surprise really when you experience the beautiful white, sheer sand and warm clear waters that hug this coastline. You will have to visit Rick’s Café – no, not the one in Casablanca – this one has something more dazzling to offer. High diving! From a height of over 40 feet, you can launch yourself into the crystal waters below. 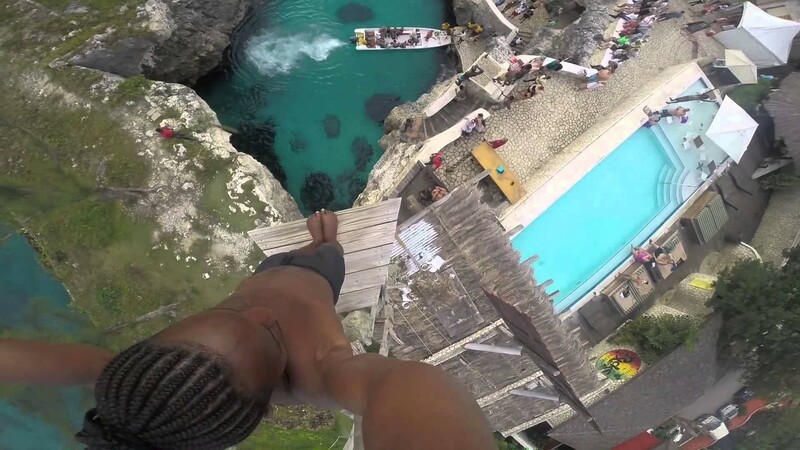 If, like me, you have a torrid fear of heights, may I suggest you refresh yourself with a cool beverage as you watch the derring-do of the divers who embrace the challenge? The sunsets alone make this one of the best places to visit in Jamaica. Put it on your list! I don’t anticipate that many of you will rush off to book flights at the prospect of heading to somewhere named Lard Bay. In fact, as a rule, the very word ‘Lard’ is one I really prefer to keep out of my holiday vernacular, as much as possible! 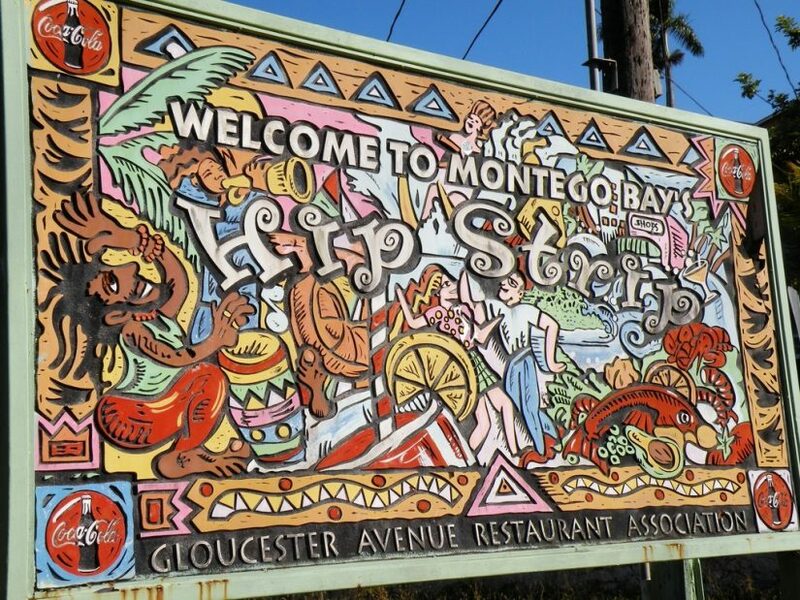 Be assured though that the original Spanish name, Manteca Bahia (literally translating to Lard Bay) is known now by its more colloquial derivative: Montego Bay. Now isn’t that a more exciting prospect! 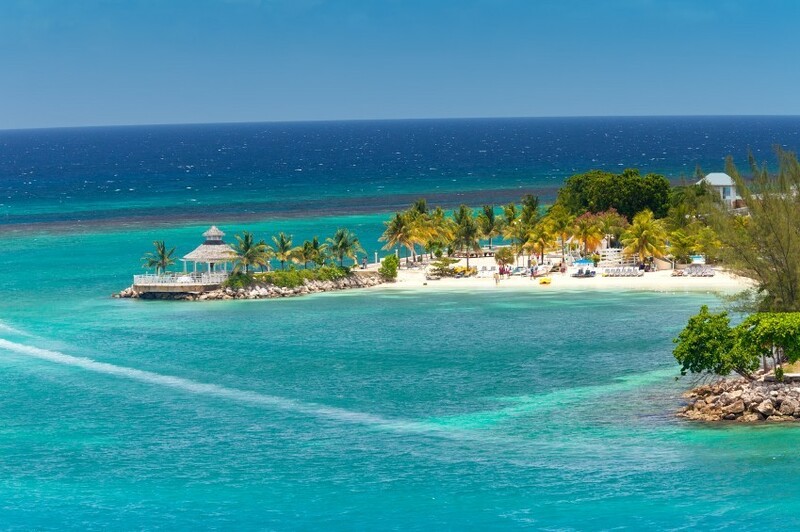 As you might already know, the lovely Montego Bay is considered one of the very best vacation spots in Jamaica or even the whole Caribbean. 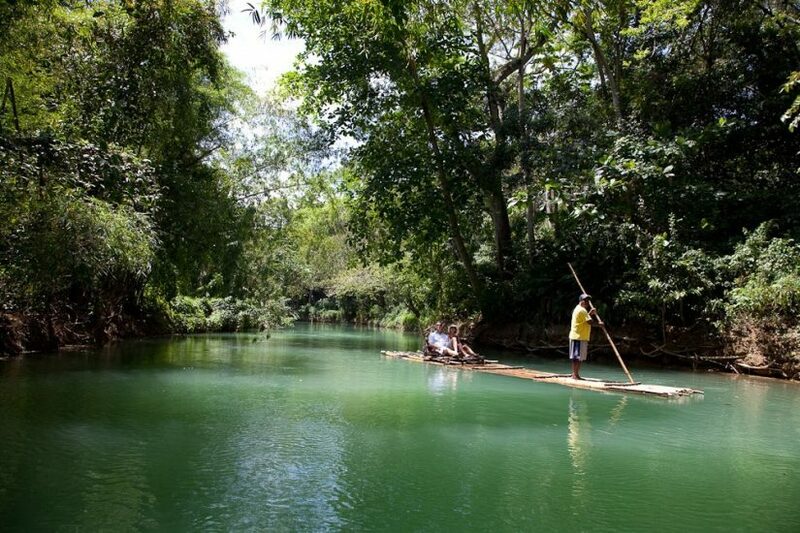 This coastal town is the ‘second city’ of Jamaica, after Kingston. 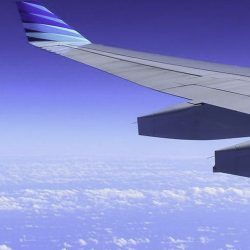 It is host to the busiest airport on the island and is an area that offers golf, sailing, snorkelling and diving in the protected Marine Park. If you are lucky enough to be staying at one of our wonderful resorts, such as Tryall Resort or Round Hill Resort, along this coastline, you will have lots of fun things to do right on your doorstep. If you’re interested in staying at Half Moon then you should read our article on things to do in Half Moon resort Jamaica. You are never far away from reminders of Jamaica’s colonial past. It is still a member of the Commonwealth but has been self-governing since gaining its independence in 1962. So many place names remain that capture its British past. Nowhere more so than Gloucester Avenue in Montego Bay. Any allusion to classic ‘stiff upper lip’ Britishness ends right there though. This bustling street is one of the places to visit in Jamaica if want to wine, dine, shop or party. This Avenue has earned the fun name “The Hip Strip” as it is, like the colourful heritage of Jamaica, a blend of cool shops, restaurants, clubs and bars. Our Jamaica expert, Emma, has written about some of her top things to do in Montego Bay. Perhaps the most famous bar of all is the world-renowned Margaritaville. This landmark experience opened its doors in 1995. From 11am each day, you and your group can enjoy the 120ft water slide, water trampolines, a cocktail or two, snacks, food. In the evening time, the playful activities of daytime give way to a vibrant nightclub scene with DJs spinning some wicked tunes. 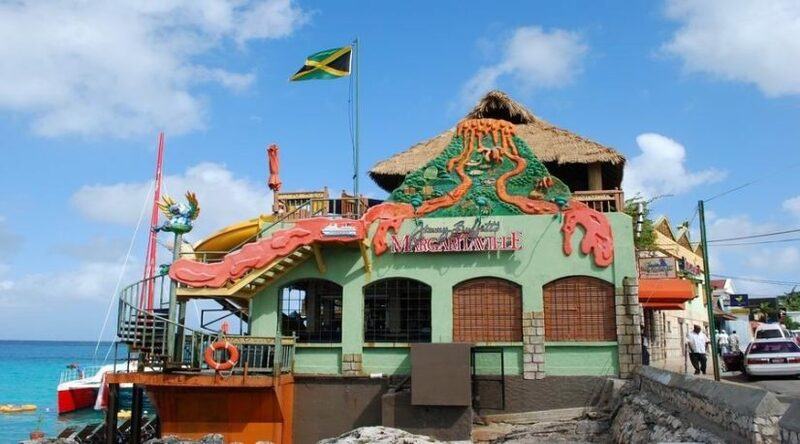 If you are staying close to Montego Bay you will certainly want to make a visit to this Jamaican hotspot. Wander down to the end of the Hip Strip and you will find yourself at the Doctor’s Cave Bathing Club. This private beach can be accessed for a fee and you can lounge under shaded umbrellas and soak up the pristine blue of the clear Caribbean view. 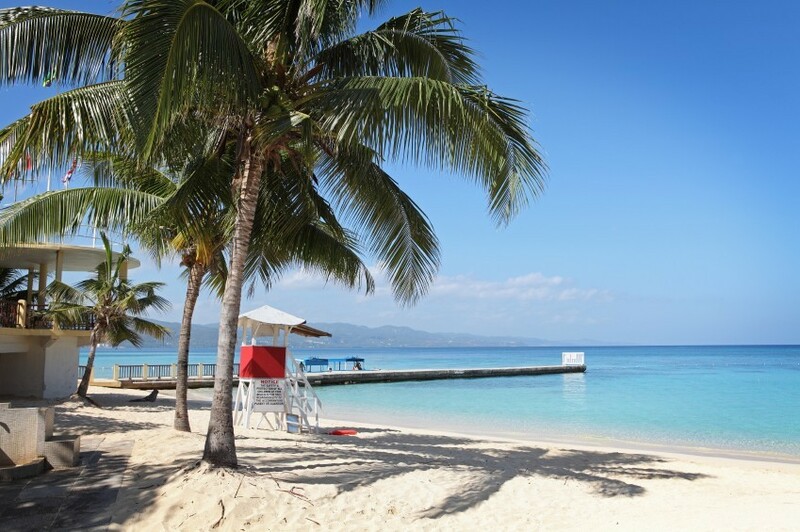 You can rent a snorkel set and swim into the Montego Bay Marine Park – a protected ocean seascape that has a coral reef teeming with aquatic life. With showers, bar and restaurant, it is a very comfortable way to spend a day at the beach. 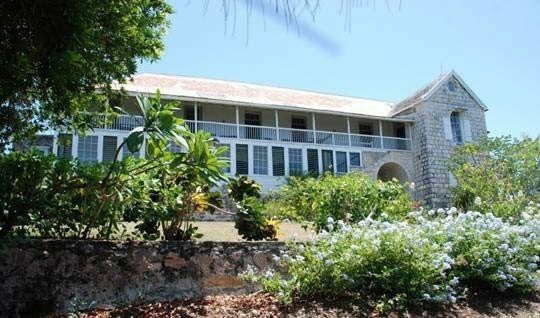 Greenwood Great House is an extra-ordinary place to visit and is one of the best things to do in Jamaica. Frozen in time, this museum a short 15 mile journey from Montego Bay will see you travel back to the 1790’s when this colonial home was constructed. Completely furnished throughout in a style to suit its antiquity, this house is very representative of some of the other great slave plantation houses across the Caribbean. One point of interest that really intrigued me during this tour is the fact that this home was built by an uncle of the famous English poet Elizabeth Barrett-Browning. She famously spent years fainting away on a couch in London before miraculously finding the strength to run off with the much younger and rather dashing Robert Browning! In her defence, I would note, that she was a keen advocate for the abolition of slavery even though it put her at odds with her father and his family. For me though, as I walked from room to room, I kept recalling the wonderful novel by Jean Rhys “Wide Sargasso Sea”. It seemed almost possible to picture the doomed Bertha Rochester as a young girl, sweeping through the corridors of Greenwood Great House at peace in her tropical paradise before her tragic marriage and early demise in the cold and grey gloom of northern England. Call it an over-active imagination, but there seemed to be so many spirits and stories hanging around the eaves of this old building. The plantation house is a tragic beauty that has grown out of so much human suffering. This chapter in history is indeed a part of Jamaica’s story and Greenwood Great House is certainly one of the best place to go in Jamaica to glimpse this long-vanished world. Unless you’re a music novice, you will know that the King of Reggae, Bob Marley was born in Jamaica. In 1945, this musician, peace activist and international icon was born in the Nine Mile district of Saint Ann’s Parish on the north side of the island. His unique style of singing and song composition is widely regarded as the definitive form of traditional reggae. His life in Jamaica and his subsequent relocation to the UK, inspired some of his greatest albums – Exodus, released in 1977, being the most famous. At a mere 36 years of age, this prophet of the Rastafarian people passed away from cancer. He is buried just south of Brown’s Town where his music career began. There are many historical artefacts related to his life including guitars, awards, photographs that can be viewed at this tourist attraction along with the mausoleum that contains his body. If you want to delve into another aspect of the great Marley’s life, the 19th Century home he bought in Kingston is now a full museum filled with so much memorabilia of his extraordinary life. At The Bob Marley Museum, 56 Hope St, Kingston, you can book a tour that will walk you through this inspirational man’s short life. A lovely café serves simple dishes that adhere to the dietary principles of Rastafarian spirituality or “ital livity”. 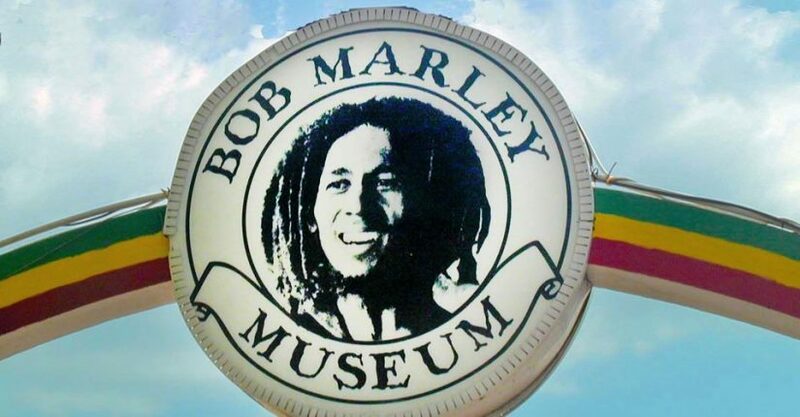 If you are a true fan, both of these places in Jamaica will combine to give you the complete Bob Marley experience. In the commercially driven world that sees how history can be monetized through clever tourism there is a bit of a ‘battle’ going on in Jamaica about exactly where, in 1484, Mr Columbus first put his foot down. It would seem, though, that the very title ‘Discovery Bay’ seems to give this beautiful location on the Northern coast a distinct advantage over the nearby St Ann’s Bay. The pretty town of Discovery Bay is sheltered by the Dry Harbour Mountains which could more accurately be described as a plateau. This green and lush terrain has rightly earned St Ann’s the title of Garden Parish. If you want to base yourself at one of our award winning properties in Discovery Bay there are lots of incredible adventures within a short distance. 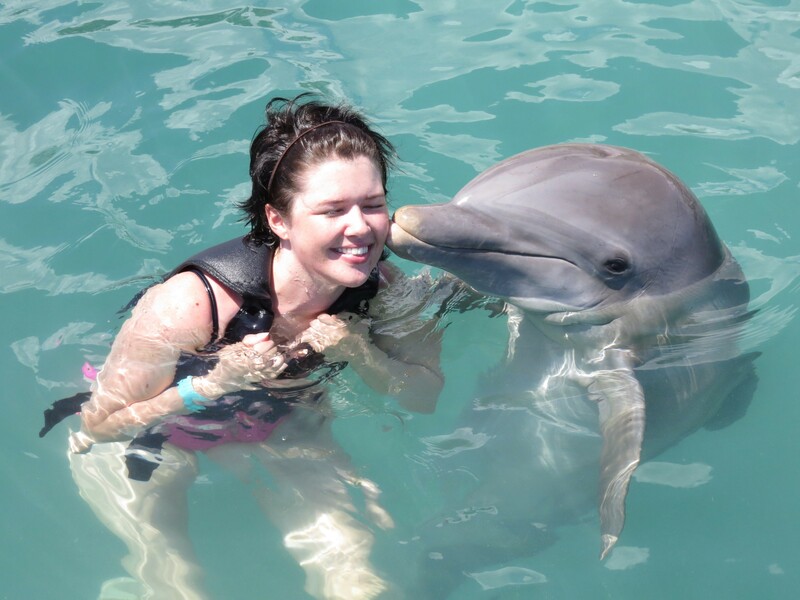 Dolphin Cove at Ocho Rios allows you to swim with dolphins or feed sharks. A once-in-a-lifetime experience for visitors of all ages. Or perhaps a trip to the Green Grotto Caves near Runway Bay for those who like a bit of thrilling geology with a dash of bat thrown in! These caves are very well developed to ensure guests enjoy an informative tour without causing any distress or disturbance to the timid mammals taking their daily naps suspended from the natural arches. Kids really love this tour! 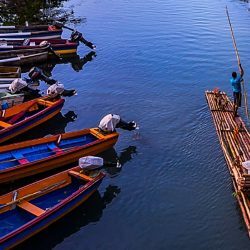 Ocho Rios, a truly beautiful town on the Northern side of the island is a beloved destination for those looking for one of the best Jamaica vacation spots. The name literally translates as Eight Rivers but it is widely believed that it is derived from the name Las Chorreras meaning The Waterfalls. Not surprising really that the early Spanish settlers bestowed this name on the area as nearby the breath-taking Dunn’s River Falls cascade down to the sea. This beautiful waterfall is one of many such cascades that can be found throughout Jamaica. 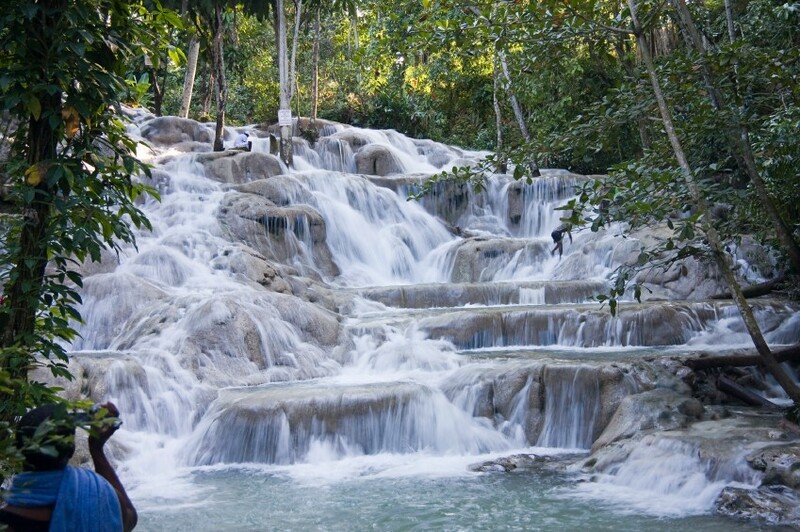 Admittedly, Dunn’s River Falls is perhaps the most widely visited as you can really leap into the experience and climb up along the natural terraced steps of the Falls. It’s a fairly demanding climb and rather a soggy one too. If you prefer to enjoy the experience with dry feet, there are a series of steps built along the side of the Falls that allow you to navigate your way to the top under a canopy of foliage. I was surprised to see such an important natural landmark allowing hordes of tourists to clamber over the rocky ledges. I imagined all sorts of wearing down and damage being inflicted on these lovely terraced steps. Well, no need to worry. The cool waters contain such high quantities of travertine and calcium carbonate that they continuously renew themselves by depositing sediments that rebuild their terraces. How brilliant is that? So no excuses allowed – jump right in and enjoy the full experience! Jamaica is an island of unlimited options. Nature surprises at every turn with waterfalls, beaches, banana and coconut plantations and rainforests. Part of the south coast sits in a dry rain shadow area and has an almost desert-like appearance with cacti and rocky terrain that seems at odds with the luscious, green landscape of the Northern coast and hinterland. The culture of the island comprises African, Asian and European heritages all merged together in a convivial way. The colour, sound and taste of Jamaica is captivating. 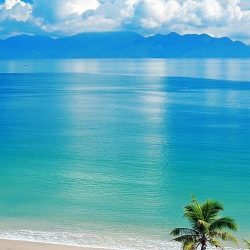 If you are wondering where is the best place to vacation in Jamaica you will have the enviable task of trying to decide from what luxurious base you should launch yourself into the magic and mysticism that sets Jamaica apart from its other Caribbean neighbours. The motto “From Many, One People” so aptly captures how a country with such a diverse and complex history, can pull together in a uniquely harmonious way to create something breath-taking. Trust is the most important part of our work at Exceptional Villas and we are extremely proud of our consistent five star reviews both with Trust Pilot and with Trip Advisor. We are very much looking forward to both finding the perfect villa for your vacation and in turn organising all the details so that you have the most relaxing stay possible.